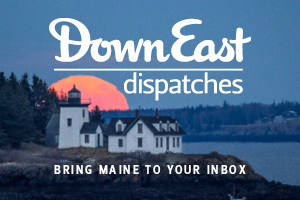 Join us for a fabulous party presented by Down East to celebrate the Maine arts community and support four worthy charities picked by four Maine artists. Our 2nd annual Art of Giving Gala will be an amazing evening of fine food, drinks, and entertainment. 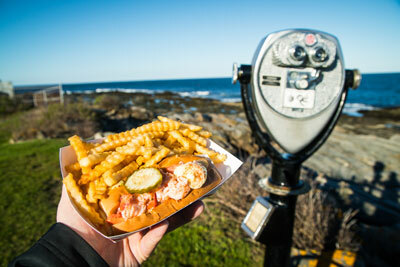 Plus, you’ll have the chance to win one of four works of Maine art. Each admission ticket provides you with the chance to win one of the four original pieces of art — valued collectively at more than $10,000 — thanks to the generous support of our Community Outreach & Raffle Sponsor, the Penobscot Bay YMCA. Tickets are $75 (includes all food and beverages, based on age). Limited number of tickets available. On sale now at artofgiving2015.brownpapertickets.com. 100% of proceeds from ticket sales go to the charities selected by each artist.  Contact us with questions at events@downeast.com or 800.766.1670. Proceeds will go to the charity or non-profit selected by each artist. All summer in Down East magazine, we’ll be introducing you to this year’s artists and the charities they’ve chosen to support. Pick up a copy at your favorite newsstand today. Rules: the rules and procedures contained herein, as may be amended from time to time, including all applicable State and Federal Law. Entrant must be present to win. If the Entrant is not present and Entrant’s ticket is drawn, the Sponsor, in its sole discretion, can immediately draw another ticket for the named prize. Entrant must be 18 years of age to enter. Winner will be selected by random drawing from all eligible entries received. Judges, in their sole discretion, determine if an Entrant is eligible to win and if winning Tickets are valid. Chance of winning is dependent on the number of Tickets sold. The number of Tickets sold is limited to 500. Winner accepts responsibility for any sales, use or other taxes applied to any prize. All Sponsor decisions are final. By entering, entrant agrees: a) To abide by these rules; b) To accept as final and binding the decisions of the Sponsor, Judge(s), and their agents in all matters relating to the contest. Void where prohibited or restricted. Winner agrees to release and hold harmless Penobscot Bay YMCA, the donating artists and benefiting charities, and Down East Enterprise, their affiliates, subsidiaries, advertising and promotion agencies and their respective directors, officers, employees, volunteers, representatives and agents from any and all liability for any injuries, loss or damage of any kind arising in whole or in part, directly or indirectly, from acceptance, possession, use or misuse of a prize, manufacturing defect, participation in any Contest-related activity, or participation in this Contest. Where permitted by law, winner agrees to grant to Sponsor, and its licensees, affiliates and assigns, the right to print, publish, broadcast and use, worldwide in any media now known or hereafter developed, including but not limited to the World Wide Web, at any time or times, the Winner’s name, portrait, picture, voice, likeness and biographical information as news or information and for advertising and promotional purposes without additional consideration; and further without additional compensation, appear for, or provide biographical information for use in any presentation or other activity which may include filming/audio/video/electronic or other recordings and/or interviews, as may be determined from time to time by Sponsor. Employees, volunteers and directors of Penobscot Bay YMCA and Down East Enterprise and all of their subsidiary and related organizations and companies and the immediate family (spouse, daughter or son, regardless of where they live) or members of their same households (whether related or not) of such employees and directors are not eligible. By entering this Contest, you agree to these Official Rules and the decisions of Sponsor, which shall be final and binding in all respects. Failure at any time to comply with all terms and conditions will result in disqualification. Contest open to general public. Sponsor is not responsible for any incorrect or inaccurate information, whether caused by Website users, or tampering or hacking, or by any of the equipment or programming associated with or utilized in the Contest and assumes no responsibility for any error, omission, interruption, deletion, defect, delay in operation or transmission, communications line failures, theft or destruction or unauthorized access to the Website, declaration of war, strike or act of God. Sponsor is not responsible for injury or damage to participants’ or to any other person’s computer related to or resulting from participating in this Contest. IN NO EVENT WILL PENOBSCOT BAY YMCA OR DOWN EAST ENTERPRISE, THEIR LICENSEES, AND/OR AFFILIATES, SUBSIDIARIES AND RELATED ORGANIZATIONS OR COMPANIES, THEIR ADVERTISING, LEGAL OR PROMOTION AGENCIES OR THEIR RESPECTIVE OFFICERS, DIRECTORS, EMPLOYEES, REPRESENTATIVES VOLUNTEERS AND AGENTS, DONATING ARTISTS OR BENEFITING CHARITIES BE RESPONSIBLE OR LIABLE FOR ANY DAMAGES OR LOSSES OF ANY KIND, INCLUDING DIRECT, INDIRECT, INCIDENTAL, CONSEQUENTIAL OR PUNITIVE DAMAGES ARISING OUT OF THE CONTEST, PRIZE, YOUR ACCESS TO AND USE OF INTERNET SITES penbayymca.net OR MARKETING PARTNER WEBSITES (“SITES”) OR THE DOWNLOADING FROM AND/OR PRINTING MATERIAL DOWNLOADED FROM SITES. WITHOUT LIMITING THE FOREGOING, EVERYTHING IS PROVIDED “AS IS” WITHOUT WARRANTY OF ANY KIND, EITHER EXPRESSED OR IMPLIED, INCLUDING BUT NOT LIMITED TO, THE IMPLIED WARRANTIES OF MERCHANTABILITY, FITNESS FOR A PARTICULAR PURPOSE OR NON-INFRINGEMENT. As a condition of participating in this Contest, Entrant agrees that any and all disputes that cannot be resolved between the parties, and causes of action arising out of or connected with this Contest, shall be resolved individually, without resorting to any form of class action, exclusively, before a court located in Knox County, Maine, having competent jurisdictions, which Court shall apply the laws of the State of Maine without regard for the doctrines of Conflict of Law. Further, in any such dispute, under no circumstances will Entrant be permitted to obtain awards for, and hereby waives all rights to claim punitive, incidental or consequential damages, or any other damages, including attorney’s fees, other than participant’s actual out-of-pocket expense (i.e. costs associated with entering this Contest), and participant further waives all rights to have damages multiplied or increased.